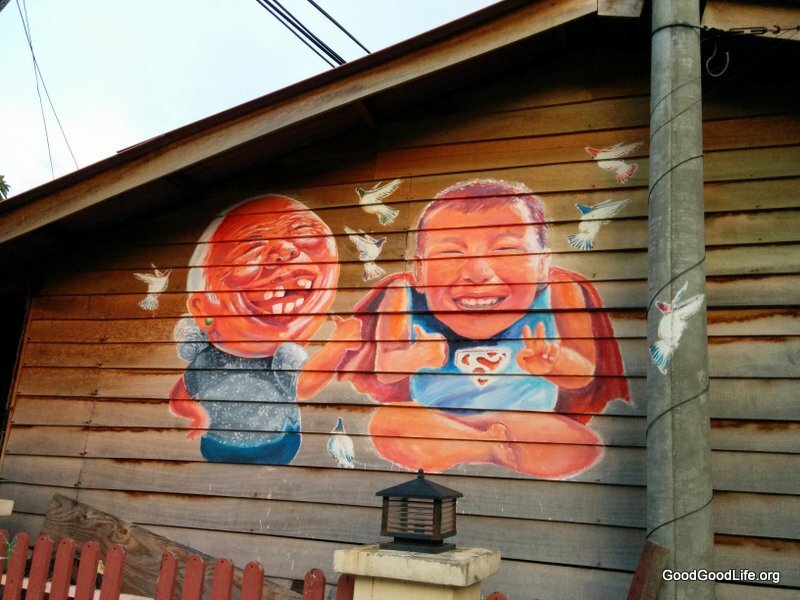 After our very fruitful Georgetown Street Art Hunting Expedition (click to read our write up). We moved on to the Chew Jetty. Literally a Chinese village on stilts. 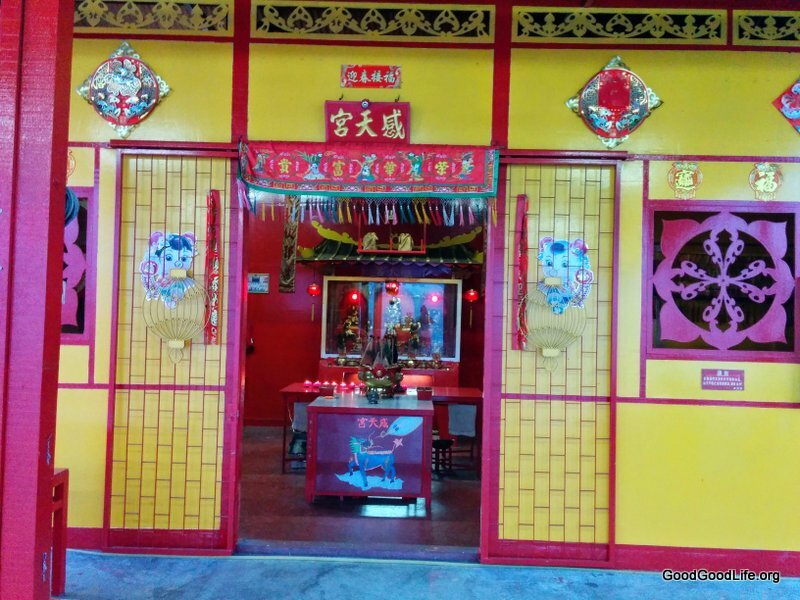 About 100 years back in time, Chinese from mainland China immigrated to Malaya. Most of these Chinese had left China in hope to find a better life, had come as servants or slaves as they were bounded by contract. They were predominantly fisherman or worked around the pier area. 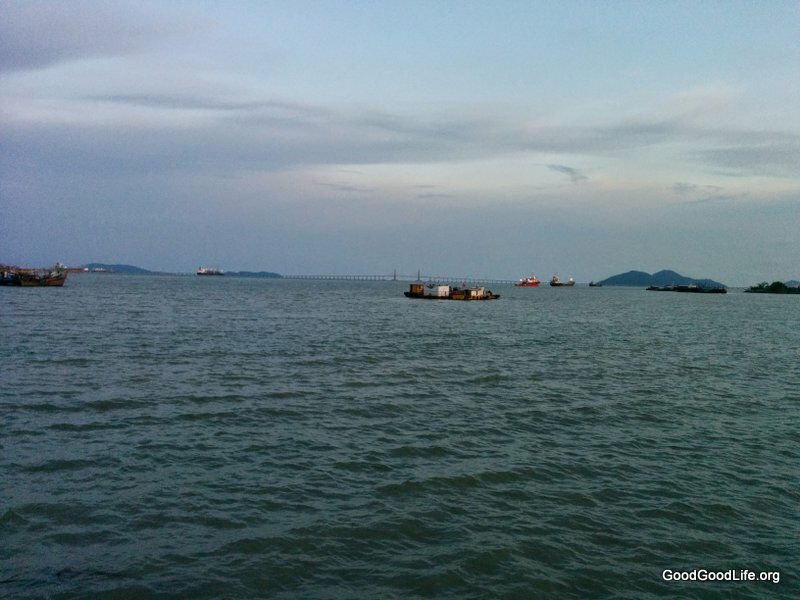 The jetties are named after the clans (Lim, Chew, Tan, Lee, Yeoh and Koay) they belong to. 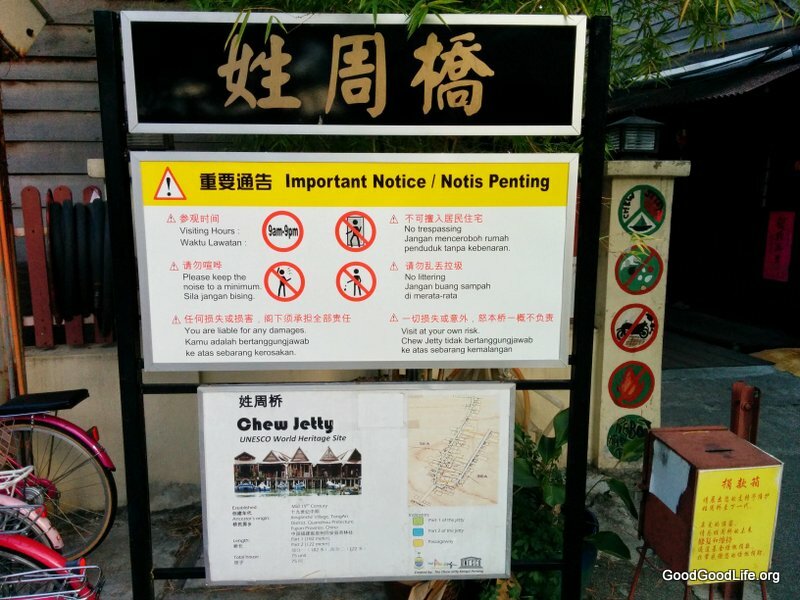 For this trip, we visited Chew Jetty. The Georgetown Art invasion did not give this place a miss. Outside the jetty’s entrance there was a happy whacky mural of a grandma and grandson goofing around, with doves flying around like a John Woo action movie. 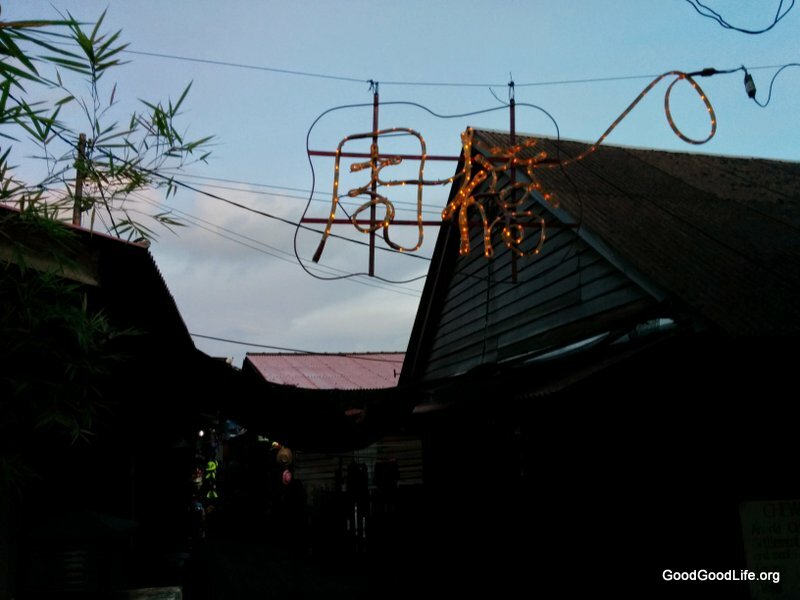 On top of the Jetty’s entrace we saw a Lighted Chinese Caligraphy of the words Chew Jetty. 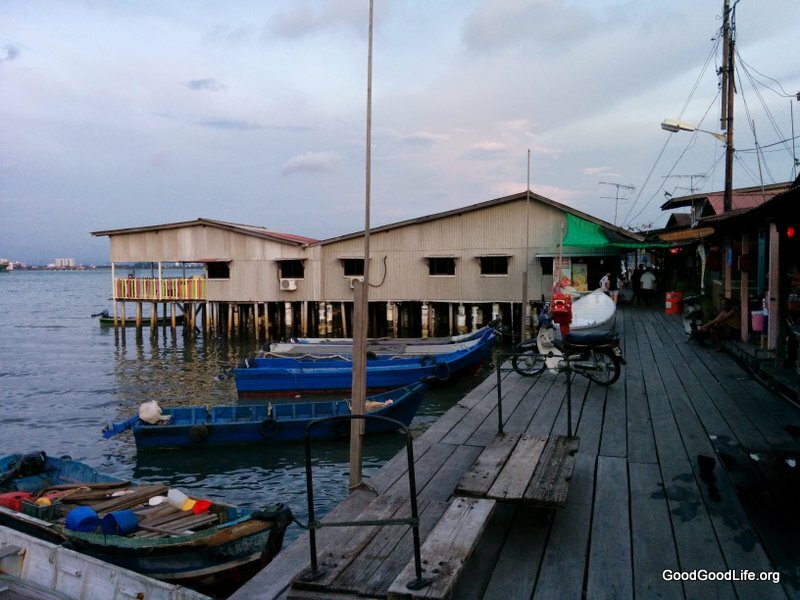 We follow the steady stream of tourist walking down the jetty passing by houses. Each household had set up booths on their door step. Manned by the retired Grandpa and Grandmas. Item sold are mainly touristy things ranging from trinkets to drinks, food and home baked goodies. The local jetties are now quite popular and several local drama had scene shot in these locations.We believe that the success of the street art around Georgetown area had helped create hype to the Jetty areas. 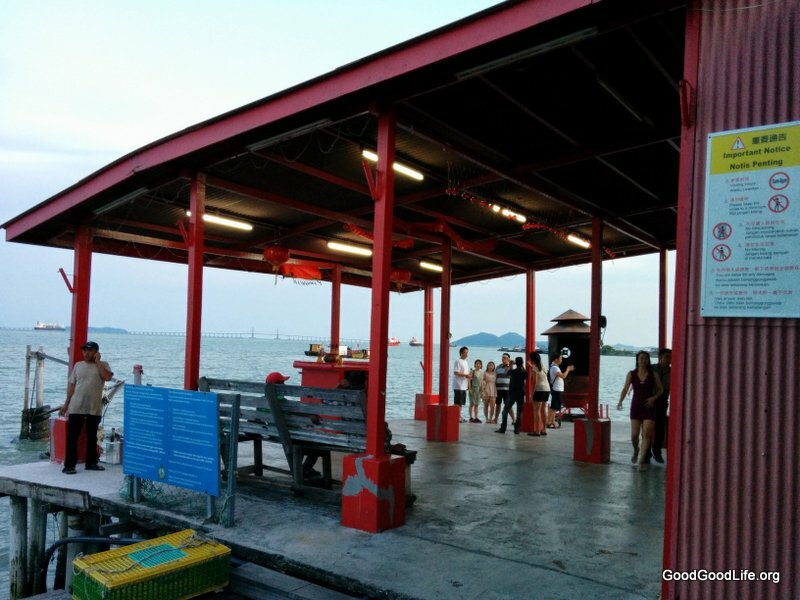 At the end of the jetty’s walkway, we found a Chinese Temple with a scenic background. 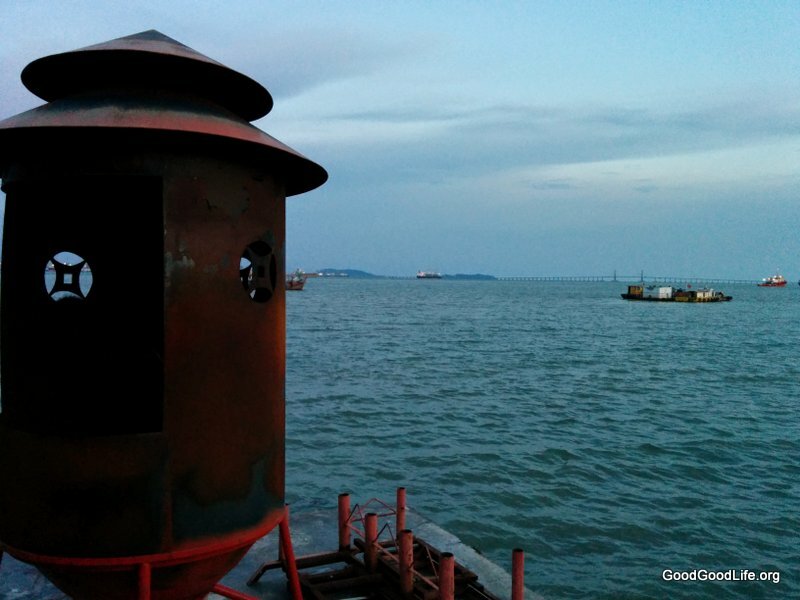 In the distance, we could see the Penang Bridge as well as Butterworth. Many people took the chance to take selfies with this background. 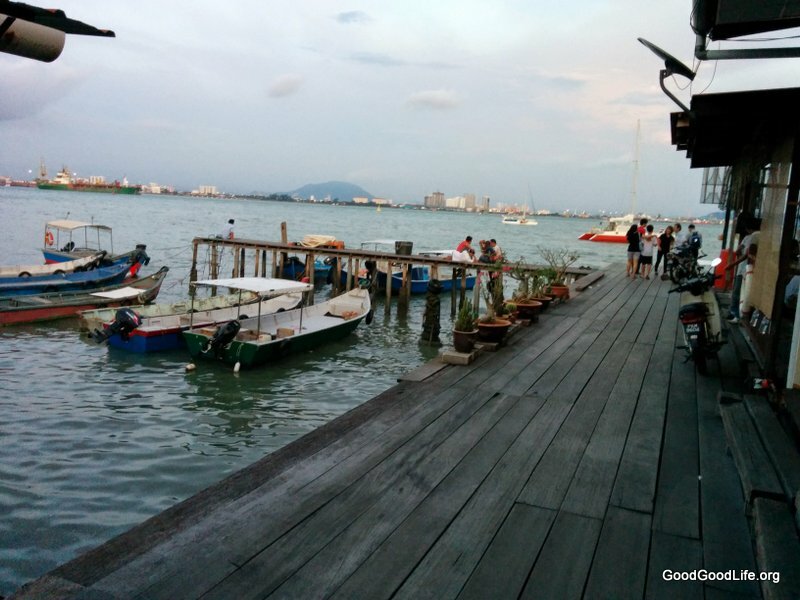 This entry was posted in Travel and tagged penang, Penang 2014, Penang 2014 Day 1, Penang Series, sea by TheGoodGoodGuy. Bookmark the permalink.